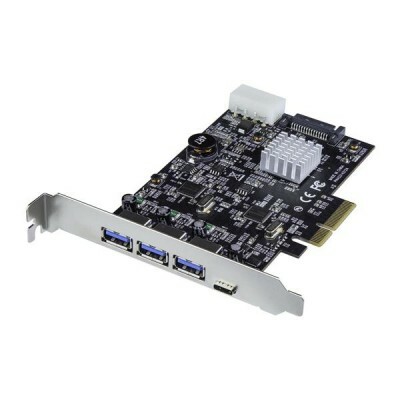 This USB 3.1 PCIe card lets you add three USB Type-A ports and one USB Type-C port to your computer, through a PCI Express slot. It makes it easy to upgrade your PC to the faster speed of USB 3.1 (10Gbps) so that you can access newer peripherals at twice the speed of traditional USB 3.0 (5Gbps) cards. The 4-port USB 3.1Â controller card adds dual independent channels to your computer and shares 10Gbps of bandwidth between two USB ports. The PEXUS313AC2V is backed by a StarTech.com 2-year warranty and free lifetime technical support.